The Steam Halloween Sale 2018 has launched, and it’s replete with spooky savings – as well as normal ones. The highlighted deals for this sale naturally focus on the creep factor with loads of horror games and otherwise monstrous titles, though there’s plenty of savings across much of the Steam catalog – you’ve just got a pretty short window to take advantage. The sale just got underway, but will only last until November 1 at 10:00 PDT / 13:00 EDT / 17:00 GMT. 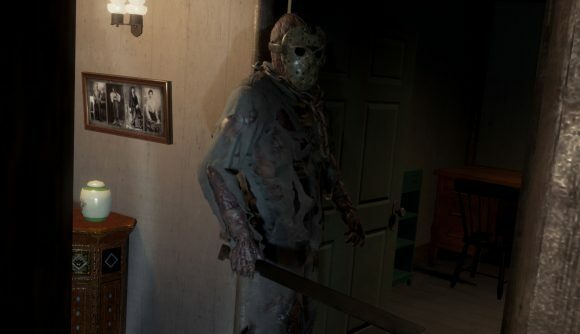 That’ll give you time to pick up something to play on Halloween – based on the top sellers list, it looks like The Forest, Dead By Daylight, and Friday the 13th are big favourites – as well as a couple of other titles to tide you over until the holiday sale feasts. On the non-horror side, you can pick up Divinity: Original Sin 2 for just $30.14 / £20.09 / €30.14, which is the best deal the excellent RPG has yet been a part of. You can also grab Kingdom Come: Deliverance for 40% off, catch up in time for Exodus with 75% off the Metro Redux bundle, or get another chance at all that Cities: Skylines DLC with significant discounts on all but the latest. Steam Sale dates for 2018 – or what’s left of it – leaked last week, and the Halloween sale is just the first. The Autumn Sale begins November 21, and the Winter Sale will start in late December before carrying us to the new year. You can follow that link for details on exactly when and how long.